Court Judgments Portal is a software for anonymization and presentation of court rulings offered to courts of law by the Ministry of Justice. 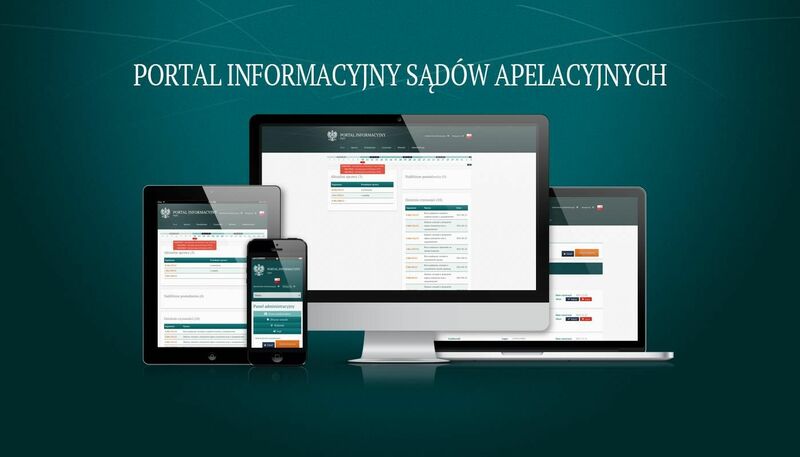 The website is available to all citizens at orzeczenia.ms.gov.pl. Publication of judgments in the electronic database has to be preceded by anonymization of their content. The principal objective of anonymization is processing the content of a given judgment in such a way as to render recognition of particular facts, subjects, and circumstances impossible by deleting the remaining data and information related to a given case. This is done in order to ensure compliance with the relevant legal norms which guarantee the protection of certain goods and values in documents made public. The anonymization process may be conducted by an appointed and authorized employee of the court, or it may be realized via an ICT system. The proposed software for on-line publication of court judgments anonymizes the content of the judgments automatically (electronically). The offered system is an innovation on the Polish market of electronic services. It is an optimal tool for publication of court judgments, as it increases the effectiveness of the anonymization process while reducing employment; the algorithm used by the system minimizes the number of errors. An important feature of the system is the speed of correct performance, which opens up new possibilities of its application. Automatic anonymization positively influences the reduction of repetitive actions, which are typical of non-automatic anonymization. A court judgment on-line is available to anyone interested. The judgments database allows various ways of searching the content of the judgments. A user may use and explore the content of the database in a clear, precise and quick way. Carrying out the process of anonymization and publication of a judgment requires the usage of an advanced IT system. An important step is to detect and identify in the content of a judgment precise elements such as a street name a sum of money or a legal book. In the next step, a decision is made whether a given element should be anonymized and in what way. legal existence – references to legal acts, comments, books, titles of scientific journals. Phrases which undergo anonymization are those identifying an entity, organization or place. They can be divided into categories: persons, companies and organization, locations, and numbers and identifiers. The last stage is approving the judgment for publication in the database and exporting the anonymized judgment to a database available to external users. Automatic anonymization positively influences the reduction of repetitive actions, which are typical of non-automatic anonymization. The system also uses the NeuroScope full-text search engine and the Neurosoft Gram morphological and syntactic analyzer as well as the PostgreSQL relational database.